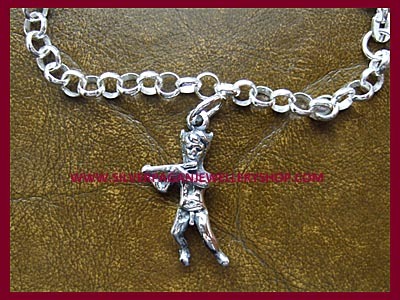 Ready made sterling silver Pan charm bracelet. Available in 7.5" and 8.5". Please select length.